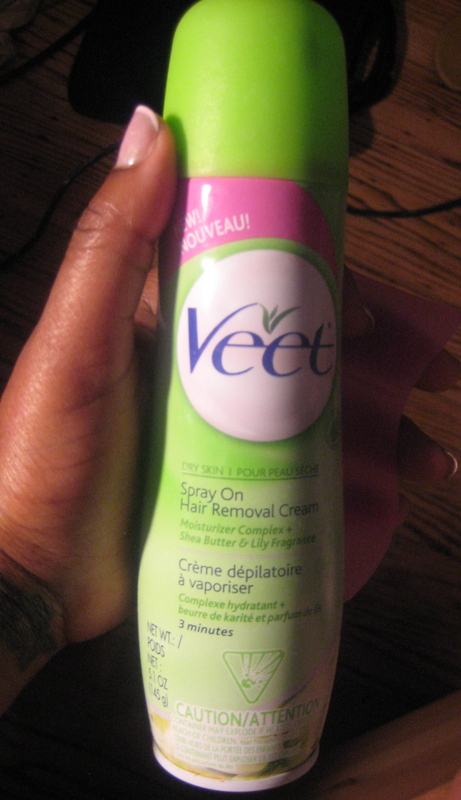 I received, for free, this 5.1 oz can of Veet Spray-On Hair Removal Cream for dry skin at last months Shecky’s Girl’s Night Out event I went to. 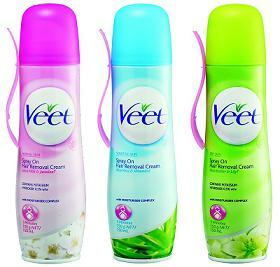 New Veet Spray-on Hair Removal Cream is a great innovation in skin care. Developed for women who desire easier depilation – you just apply it fast and simply directly from spray onto the required areas, with no need of spreading. Then the cream is removed in the usual way to result in a velvety look and smooth skin. Areas used for: Legs, bikini, underarm. I’ve used this product a few times (legs only) since I got it. It works well although, I will probably never buy it again. 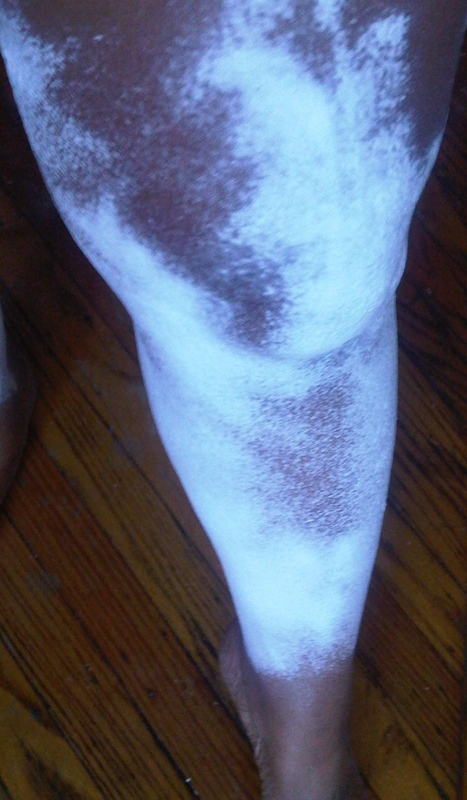 I’ve never been into depilatory creams specifically because of the scent. This one has that familiar scent. Pros: Works as stated. My legs are smooth, and soft. It works in a short amount of time. It definitely beats shaving when you don’t have time to shave. Results last nearly 2 weeks. Cons: Scent. It has that horrible scent that any hair removal cream has. It kind of reminds me of a relaxer. Another thing I didn’t like about it was that it burned my skin a little. I don’t have any physical burn marks, but there was a burning sensation when I used it for the 3 minutes. I didn’t dare go over that, especially since I have a very sparse amount of hair on my legs, so it wouldn’t make sense anyway. One last thing I didn’t like was the distribution of the product while being sprayed – it was so uneven. You can see that in the above picture. « Kim Porter makes Guacamole! I hear you on that scent. Though I think Veet is a little more tolerable than Nair. I can never seem to get them to take my hair off evenly, so I'm left still shaving certain areas. :/ I do like the idea of a spray, though. i might have to try this! I hate the smell too. I find Veet to be a bit more tolerable than Nair, though. My problem is I never seem to get even results and end up having to shave small areas where the hair didn't wash away. I like the idea of a spray. I may have to try this! i don't get even results either. and i had a HORRID experience because my can was defected… there was no hole in the spray nozzle. i drilled a hole and the result was very messy. very disappointed with the product.